Get access to my FREE Printables Resource Collection! !YES, PLEASE! This post contains affiliate links. This means if you make a purchase through one of my links, I may recieve a commission at no extra cost to you. See my full disclosure here. School’s out for summer! With that, our kids suddenly have A LOT more unscheduled time. Once the dust settles from the end-of-the-school-year frenzy and you’ve had a chance to take a breath, you may find yourself at a loss for how to make the most of the long summer days. I’ve collected a great list of productive ways to spend the free time this summer. These are fun activities that will support all the learning your child did throughout the school year. This is a handy list for anyone who has children, whether you will be home with your kids full time, part-time, or if someone else will be caring for your kids. If your kids have been in school for awhile and their school follows a traditional school calendar, you’ve probably heard warnings of the “summer slide”. This is the term used when kids lose academic skills as a result of being away from school over the summer break. If your child falls at or below their grade level at the end of the school year in areas like math or reading, it is a great idea to work on those subjects with them over the summer. But even kids who are doing well in school can be expected to forget some of their skills given two months of no school. There may also be subject areas that are not addressed at your child’s school but that you feel are important. Areas such as coding, typing, geography, Spanish, and writing cursive are several that come to mind. 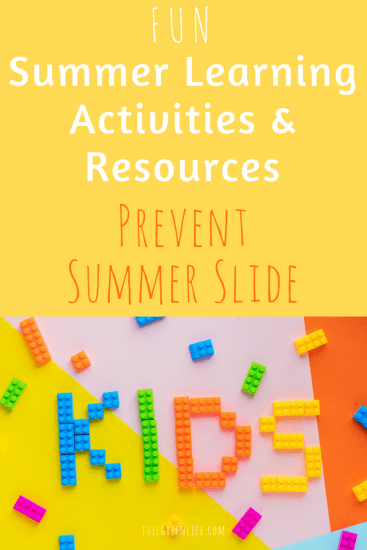 The following list is broken down by subject area and provides you with some specific tools for keeping your child’s skills sharp over the summer. If your child does nothing else educational this summer, make sure they keep reading! Have your child keep a reading log. They can log minutes read, pages read, or simply keep a list of book titles. Join the local library’s summer reading program. These programs offer small incentives to reach specified reading goals, depending on age. Visit Accelerated Reader Book Finder or Parents: Raising Readers and Learners to find appropriate book levels and recommendations for your child. Read a more advanced book aloud with your child. Read the same book as your child and have “book club meetings” to discuss. Search Pinterest for grade-level recommended book lists. Writing gets easier with practice, so giving your kids opportunities to write about what they want will get them that practice and also be fun! Give your child a writing prompt and encourage them to be creative. Write letters to friends and family who are out of the state for the summer. Buy a journal for your child and encourage them to keep a daily journal. Prodigy offers fun games practicing crucial math skills for grades 1-8. Signup is free. Summer is a good time to memorize addition, subtraction, multiplication and division tables. Try Math Wrapups for a fun and different format for learning math facts. (My kids love these!) Or use traditional flashcards or apps for a tablet or smartphone. Teach your child how to play Blackjack or Backgammon for sharpening math skills. Use notecards to create labels for common items around the house (for example, labels in Spanish for bathroom, trash can, table, fruit, water). Visit Lingo Hut or Duolingo for free Spanish practice and games online. Do science experiments at home. Hundreds of ideas can be found in this book or on Science Kids. Get a jump start on a science fair project if you know your child will be required to do one during the school year. Create a free account on Scratch or CODE. On these coding sites, you will find a ton of activities and games for all skill levels, including absolute beginners. Visit Hour of Code with Khan Academy. Like all of the Khan Academy website, their coding section is incredibly comprehensive. It is free to use and has Youtube video walk-thrus and coding activities for beginners through advanced coders. Build a free Wiki website with your child. 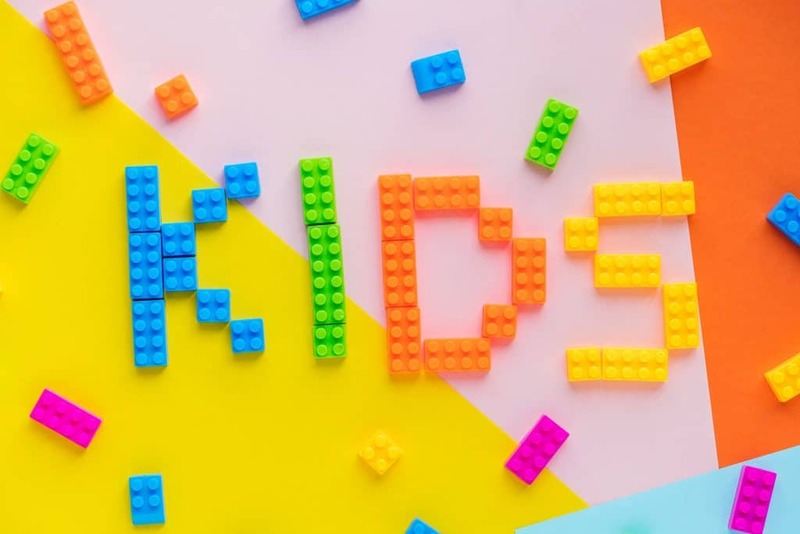 If you have an older child who has the desire to start a mini business, such as yard work, dog walking, or babysitting, creating the website to use as advertising would give this project added purpose! Knowing about your own country and where it fits into the world as a whole is important as kids get older and begin to learn more about history. Visit World Geography Games for online games and quizzes. This site is sectioned into numerous categories including countries, regions, capitals, rivers, etc. in clickable map quiz format. It is very fun even for adults but appropriate for any child who is able to read. Get a map puzzle like this one to do together. Buy a paper roadmap if you go on any road trips and let your child draw out your route and follow along. Check out a book or ebook from the library that highlights a particular country or region that your child has not learned about. Learn about it together! More and more schools have phased this skill out of the curriculum. If your child’s school doesn’t teach cursive handwriting, you can easily teach it at home over the summer! Print out a practice page, slip it into a page protector, and use with a dry erase pen to reuse over and over again. Start with your child’s first and last name (which is really a practical life skill everyone should have) and the alphabet. Buy a lined journal for your child for cursive practice. Try a workbook if your child has been introduced to cursive already and just needs practice. Being able to type is clearly a very important skill in our age of technology. Unfortunately, schools don’t always spend enough time on it for children’s typing skills to reach a solid, proficient level. By the time they reach middle school if not before, students are expected to be able to get their thoughts onto the computer screen without difficulty. Create a free account on Dance Mat Typing, Typing.com, and ABCya for everything from the basics of letter & number position on the keyboard and proper finger position to speed and accuracy practice. Give your kids opportunities to practice. They can email cousins, long-distance family members, or friends. Keep a summer journal on Google Docs or Word. Talk about how we use food to fuel our bodies. Learn about food groups, food pyramid, macro- and micronutrients. Visit Nutrition.gov for nutrition learning games, teaching resources, and activities. Visit a local farmer’s market for fresh produce. Grow a vegetable or herb garden with your child. There are so many fun board games and card games that require strategy and critical thinking! These kinds of games will work your children’s minds without them even realizing it. Here are a few ideas to try, but there are countless others. My household will be referencing this list a lot this summer! Are there other educational activities that you will be sneaking in this summer between beach time and barbeques? Comment and let me know! Welcome to Full Green Life! Here you will find ideas related to raising a big family while living a green lifestyle. Everything from parenting and multiple-kid management strategies to non-toxic cleaning and essential oil recipes is fair game here! When you subscribe, you'll get my printable DIY Cleaning Recipe & DIY Spa & Beauty Recipe cards, PLUS access to the Printable Resource Collection! You will also receive new posts delivered right to your inbox, so you won't miss a thing! By subscribing to our newsletter, you consent to receive new post updates, access to freebies, and promotional emails related to Full Green Life.